This Simple Puzzle Test Sealed The Fate Of Immigrants At Ellis Island What did it take to get through Ellis Island? For a few years, it took passing a puzzle test. NPR's Audie Cornish talks with Adam Cohen, who wrote about it in Smithsonian Magazine. 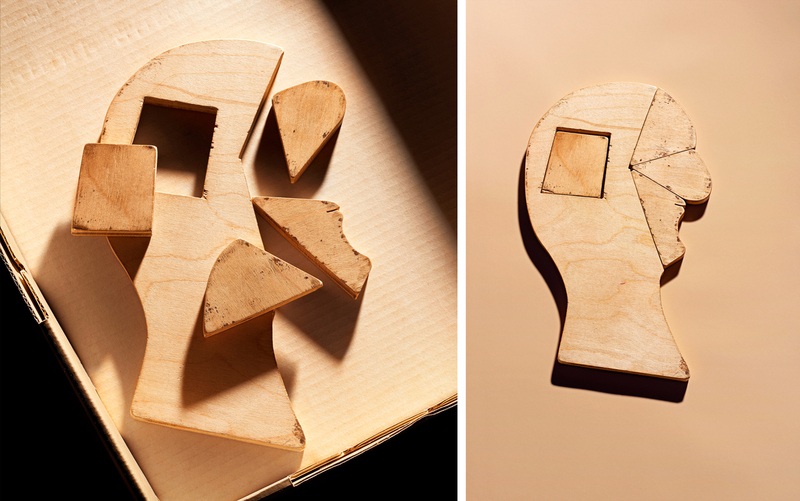 A wooden puzzle in the silhouette of a human head might look fun if the stakes weren't so high. A doctor named Howard Knox invented The Feature Profile Test — the formal name for this puzzle —after officials struggled to administer IQ tests to immigrants because of issues with language and literacy. Historians at Smithsonian Magazine say this simple puzzle containing facial features broken into pieces was administered to immigrants at Ellis Island in the early 1900s. The goal was to weed out the "feeble-minded" and ensure that a "better class" of foreign-born people was ushered into U.S. citizenship. The puzzle is currently housed at the Smithsonian National Museum of American History. The Feature Profile Test — the formal name for this puzzle — sprang out of an idealistic policy that was supposed to be fair, writes historian Adam Cohen. A doctor named Howard Knox invented it after officials struggled to administer IQ tests to immigrants because of issues with language and literacy. "This was in some ways a progressive reform," Cohen says. "The idea that this would be a puzzle that no matter where you were born in the world, where you came from, people generally had the idea of what a face looked like, so it had a kind of democratic impulse behind it." At the same time, the eugenics movement was informing U.S. immigration policy. Cohen says the eugenicists were worried the wrong types of people were coming into the country. "They believed that in various ways we had to test and weed out the people who would bring the wrong genes," Cohen says. "That included trying to have fewer people from countries that were deemed to have worse genes, and then also using tests like this to at the individual level weed out people who were unintelligent, feeble-minded, unfit."